JEE Main Cut Off : Once CBSE will declare JEE Main Result on 30th April 2018 (For Paper 1), Joint Admission Boards will announced the JEE Main Cut Off which is the minimum qualifying marks for JEE Main 2018. It is the minimum cut of marks to be required for a candidates to admission in the top engineering colleges, those offered various courses like B.E./B.Tech and B.arch/B.plan. In 2016 the cut off was lower than compared to the 2017 (Last Year Cut Off). Those who secured more then cut off marks will be eligible for JEE Main Counselling Process. In this article you will get detailed information about JEE Main Cut Off. 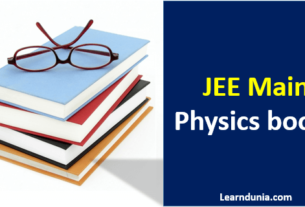 JEE (Main) Joint Entrance Examination is the national level engineering entrance exam conducted by the CBSE admission in various courses like B.E./B.Tech and B.arch/B.plan which are offered by the IITs, NITs, and GFTs. CBSE has declared the JEE Main Exam Dates i.e. Offline exam will be conducted on 8th April 2018 and online will be conducted on 15th & 16th April 2018. As CBSE released previously their information bulletin and exam dates on 22nd November 2017; there CBSE already released JEE Main result date i.e. 30th April 2018 for offline mode exam. The JEE Main Score are also displayed in the JEE Main Result. Those who are qualified for JEE Main 2019 also mentioned in their JEE Main Result who will eligible to appear for JEE Advanced 2018. JoSAA will take care of over all counselling procedure. Joint Seat Allocation Authority is also responsible for counselling process. Counselling will be conducted by JoSAA, for allocation of seats across IITs, NITs, GFTs over 30,000 seats across IITs, NITs, IIITs and GFTIs. Those who participated in the JoSAA process and seats will allotted them successfully. It totally depends upon the category, eligibility criteria. Only online process is available for seat allocation in JEE Main as declared by the JoSAA. Once the seats are allotted to the candidates, it is advised to the candidates that pay your counselling and verify your details.